Turning a new home into a well-loved nest is a long process, but one way to do it is through plants. From tiny succulents to large potted trees, plants make the air in your home easier to breathe, signify the changes of the seasons, and often become sentimental pieces that you can’t help but feel emotionally attached to. So it’s only natural that when we move, we want our plants to come with us (after all, they are on-trend for 2018) – but that involves (both figuratively and sometimes literally) uprooting them and putting them through a strenuous move. For Michael and Anthony, two Dolly customers, moving their plants was a challenge they thought they’d have to put themselves to a stressful breaking point to solve. But Dolly was there to help. 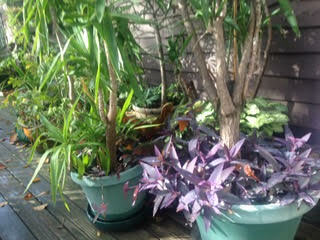 A friend had a recommendation for them: get Dolly to come by the house and move the potted plants to indoor storage. Michael checked it out. “I called [Dolly] when the weather turned cool and was able to arrange for help with the moving the very next day.” Michael’s Helpers, Eric and Michael, came by the next day and got to work, moving sixteen heavy potted trees (including moving their heavy plant pots) inside. Eric and Michael asked if there was anything else to do to help the couple, and when Michael said there wasn’t, they headed out. Andrew of Kenmore, Washington also needed help moving his plants – but in his case, he needed help bringing them home for the first time. But how do you transport a tree? After having read about Dolly in a startup news article, Andrew posted his Dolly while at his daughter’s soccer game near the store. Before the game was over, Andrew’s Helper Eric had accepted the job and arrived, ready to pick up four heavy evergreen tree shrubs. Eric put the trees in his truck and drove with Anthony to his house, where he unloaded the trees just where Anthony wanted them, and was off to his next job. For Anthony, it all happened so fast that he was to both complete a difficult move and enjoy his daughter’s soccer game. “Eric was flexible and helpful and hardworking. I really appreciated that, and it was interesting to chat with him, too! Eric also placed the trees in the exact spot in my yard which was a huge help.” With the trees firmly in place, Eric was able to get back to enjoying his day with his evergreen tree shrubs safely moved. Both Andrew and Michael were able to figure out how to move plants without doing any moving themselves – it was all done by Dolly. As Andrew explains, “Dolly is an amazing on-demand service for large item deliveries for people without truck access. The true ‘total’ cost is in-line or less than renting a truck yourself or store deliveries. It’s particularly great for large Costco items like furniture.” Michael and Andrew are sure of one thing: they’ll be using Dolly next time they need some extra muscle. Next time you’re moving your plants, keep your own feet firmly planted and let Dolly take care of them. We’ll bring the truck and muscle so all you need to do is sat back and relax.